The opportunity to sit in the cockpit of a Boeing 737, let alone fly one, seems a remote concept to many. But with iPilot’s next generation passenger jet flight simulator that is exactly what you can now do. Founded in 2009, iPilot has over 10 simulators in 5 different countries. 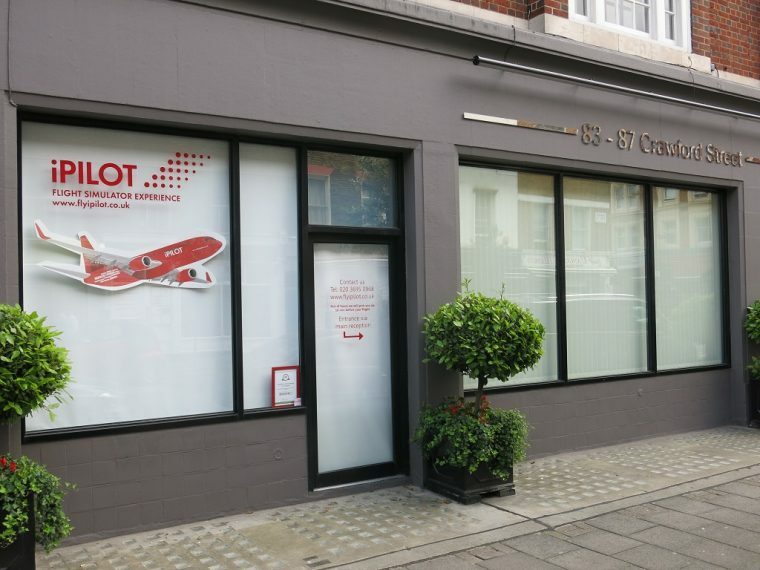 I was lucky enough to be offered the chance to try the London iPilot simulator, conveniently located within walking distance of Paddington and Oxford Street, and as an avid flight simulator enthusiast, I was keen to see what I could do. I was met by Risalat Rabbani, the London Branch Manager, and a qualified jet pilot, who explained the setup of the simulator and then sat alongside me as I put the simulator to use. The simulator is a full and accurate representation of the cockpit of a Boeing 737-800, with complete overhead panels, and display panels where each window would be. Each control is an identical match to the genuine Boeing part, and every light, sound, and alarm is a match too. Airplane cockpits can feel a bit cramped and the accuracy of the simulator reflected this perfectly. Behind the scenes is a bank of computers all working to tie the controls and display together. The computers also hold a database of almost every runway in the world, so you can try a take-off from Heathrow and a Landing in Manchester, having to fly it in between. 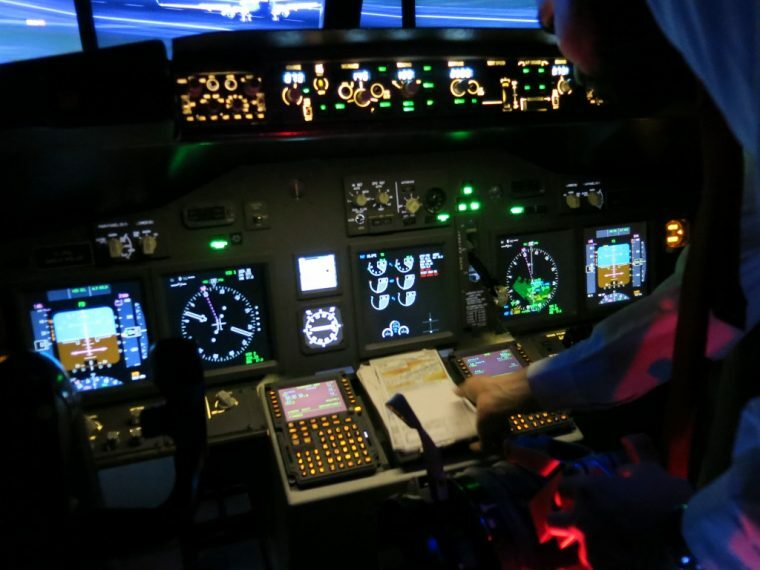 It is so accurate that even qualified pilots use the simulator to try different scenarios or just brush up on less commonly used procedures. Risalat explained that there was an equal mix of people coming to the iPilot course that wanted to try their hand at flying, overcome their fears of flying or simply sit down and see how it is done. I wanted to try flying myself, so sat in the Captains seat. Actually, the Boeing 737, is symmetrical (for safety and redundancy) so the left-hand side is a copy of the right so it makes no difference. I chose the left side because I am left handed and the controls just feel better that way for me. Knowing the rudiments of flying, I chose a take-off from Heathrow, with Risalat acting as my co-pilot. Although I made the take off easily enough (it’s the landings to worry about), there is a lot going on when leaving the ground, and Risalat operated the landing gear and flaps, whilst also talking me through the gauges to keep watching. He was very patient with me and kept me focussed on what a real pilot would be doing. A Boeing is a big plane, and the controls react with an apparent delay, requiring you to think through your planned manoeuvres ahead of the time you need them. Continuous scanning of the instruments is required and this is definitely not like flying a Cessna! It was easy to change the setups to different airports and approaches (landings are so much more involved) and I tried a range of different flights, being guided by Risalat for things to keep an eye on. The Boeing 737 flies with a slight nose up, so although it may look on one gauge as if you are climbing, another tells you that you are actually losing height. Then you also need to keep an eye on the airspeed, and then the pressure is on to hold a heading. Practice, practice, practice. I finished my iPilot Simulator session with an instrument landing into Hong Kong Kai Tak in thick fog. Knowing the notification and alarm sounds, what the displays mean and roughly how to fly I managed to land, although Risalat pointed out that I had landed at twice the legally allowed speed and overshot the runway. Bah! After 2 hours the accuracy of the simulator and the complete immersion into the Boeing cockpit left me drained, and Risalat said that many of the trial pilots like me felt that way too, having given 100% to the mental and physical task of keeping it all together. I learnt a lot about myself and my approach to flying in the session, and can see where I need to focus if I want to be a better (simulator) pilot. I also had a lot of fun. You don’t have to want to fly to get a real benefit from the iPilot simulator. Some people come to the iPilot simulator to overcome their fear of flying. 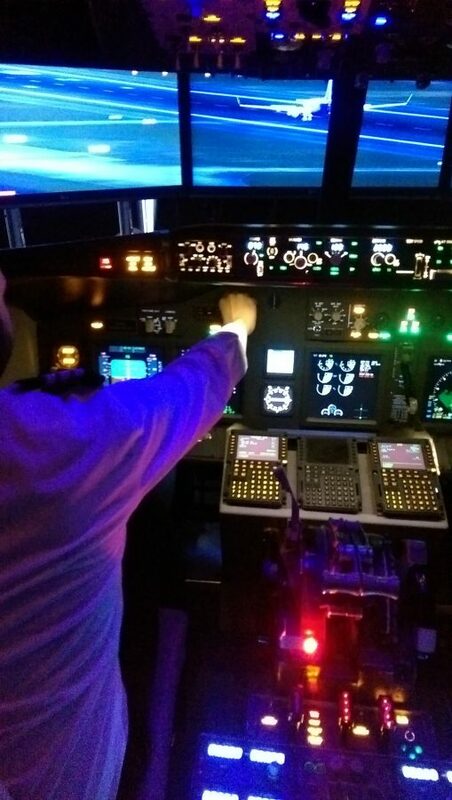 Because the simulator is accurate to the real Boeing 737, the pilot can explain what each sound means, what actually happens at take-off and landing, and how often the computer has such accurate control of the plane that you will always touch down on the runway, even in thick fog. The Daily Mail called iPilots explanation sessions the Ultimate Aversion therapy! Given the range of airports and situations you can choose for each flight, iPilot is a great activity, and very popular for groups of friends or company events. I can only imagine how competitive it could be to see who makes the best landing or has the shortest take-off from a local, or distant, airport. Visitors get the opportunity to get a photo, certificate and video of their experience for the ultimate in bragging rights. And no one gets hurt if it all goes pear-shaped! iPilot is also an official partner with Boeing, so as well as flying one, you can take how genuine souvenirs of your adventure. 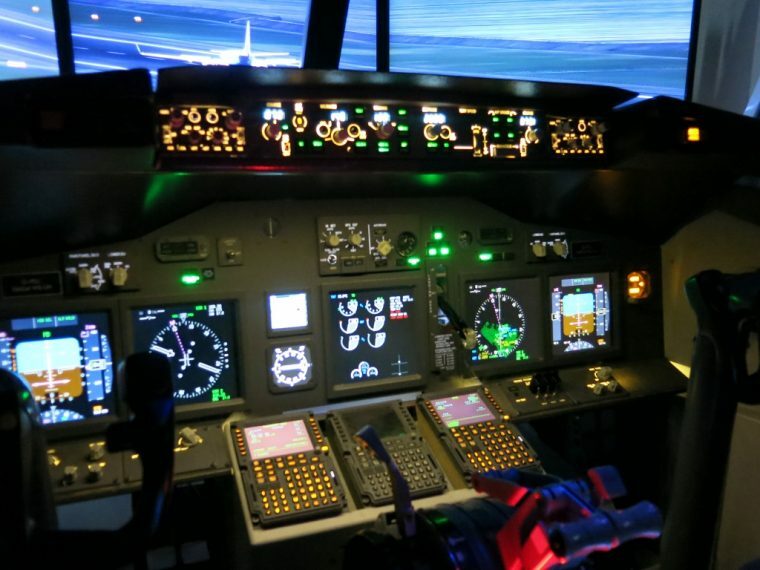 Whether you want to take the controls of the Boeing 737 simulator or just sit back and experience the feel from the cockpit whilst someone else flies, iPilot is the perfect answer. I cannot wait to go back. I would love to do this. I know that drained feeling at the end of a session but once you get used to it, you build the stamina and knowledge base to handle it. Flying isn’t for everyone and Boeings definitely aren’t but it sure looks fun!